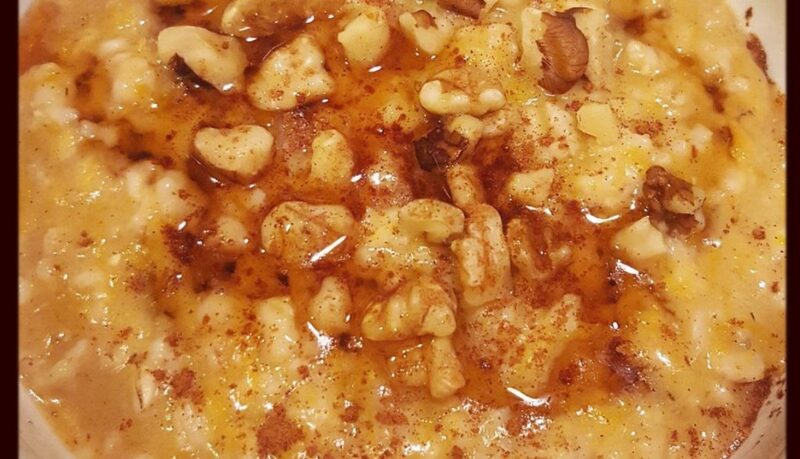 Instant Pot Rice Pudding is creamy and aromatic, flavored with cinnamon and nutmeg, ready in just 30 minutes, thanks to your Instant Pot. 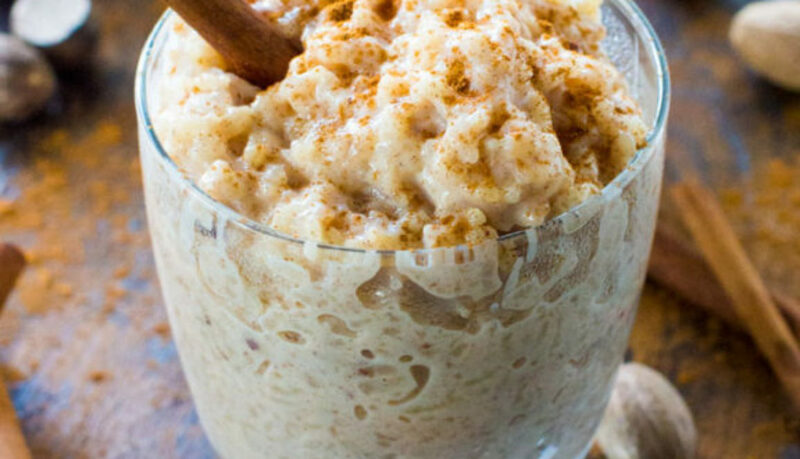 Instant Pot Rice Pudding is one of the easiest ways to make the most delicious and creamy rice pudding you have ever tasted! I highly recommend using nutmeg and cinnamon, it will take your pudding from good to wow. You can also mix in walnuts and raisins. I prefer to add them at the end to preserve most of the crunchiness and chewiness. You can use creamy canned coconut milk and sweeten the rice with sugar, and skip the condensed milk for a vegan, lower fat version. I love pesto! Pesto has so much flavor, and it is great with pasta. It makes for a super simple dish that is full of flavor. I think its especially great with chicken! Even better, you can find a ton of pre-made pesto at your local grocery store – so no worries about making your own! If you want to, more power to ya! I love the idea of a One Pot Pressure Cooker meal – I love even MORE the idea of a meal that only takes *5 ingredients to delicious! This meal is fast! It only takes 4-5 minutes of hands on work, and cooks in under 20 minutes total from start to serving! Another WIN about this meal is that my (super picky) 7 year old daughter ate it and complimented it – I honestly didn’t think she’d eat it (simply because its got green in it! 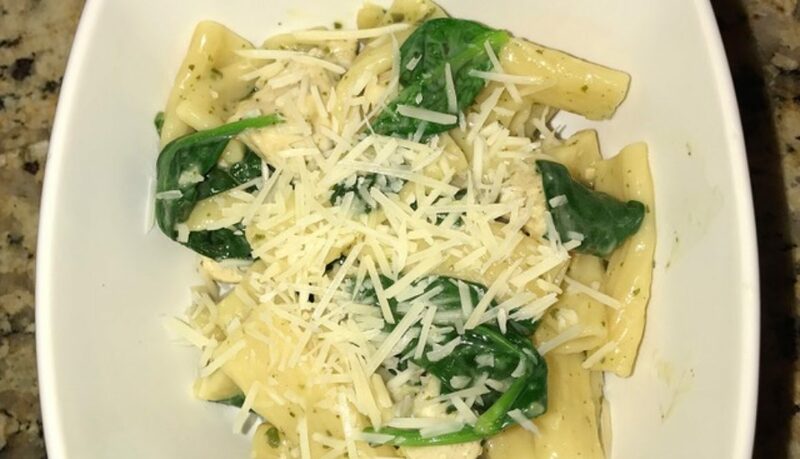 ), but I was pleasantly surprised this One Pot Pesto Chicken Pasta was kid-approved! The hubby was happy with this meal, I was thrilled & the kid ate it. Total wife & mom win! Turn on Pressure Cooker to Sauté or Browning setting, then add 2 T olive oil. Add chicken and season with salt and pepper to taste (about 1/4-1/2 t each). Sear chicken for 2-3 minutes. Do not cook through. Add pasta, water, 1/2 t salt, plus 1 T butter cut in small pieces. Stir lightly. Close lid, and close vent knob – on Instant pot, turn vent knob to “Sealing”. Set cook time to 4 minutes on High Pressure – for Instant Pot, press Manual and adjust cook time with “+/-“ buttons to 4 minutes. Pot will take 5-10 minutes to come to pressure, then cook time countdown will begin. When cook time is complete, quickly release pressure (QPR) and remove lid. You may have some water left in the pot – that is okay! It will help make your sauce. Press cancel or off on your pressure cooker. Turn on sauté or browning function. Then add spinach and stir. Spinach will take no time at all to wilt! 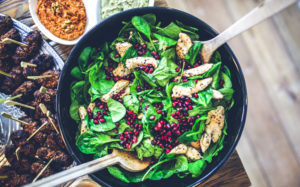 After pesto blends well and spinach is wilted, turn cooker OFF. Serve, and garnish with parmesan cheese, cracked pepper and/or crushed red pepper, if desired. Recipe should yield 5-6 generous servings. Add chicken and season with salt and pepper to taste (about 1/2 t each). Sear for 2-3 minutes - do not cook through. Stir lightly. Close lid, and close vent knob - on Instant pot, turn vent knob to “Sealing”. Set cook time to 4 minutes on High Pressure - for Instant Pot, press Manual and adjust cook time with “+/-“ buttons to 4 minutes. Add spinach, stir and allow to wilt, 1-2 minutes. Turn cooker OFF and Serve immediately. Garnish with parmesan cheese, cracked pepper and/or crushed red pepper, if desired. Who doesn’t love Smores?Sweet, Gooey marshmallow, crunchy, sugary graham crackers, luscious, melty chocolate… you want one now, don’t you?! I love the flavors, but let’s be honest… how often do you really actually make Smores? Perhaps you do often, but I admit that I do not. #1: I live in Florida – when do you think we EVER have an opportunity to have a bonfire let alone have the need to sit close enough to one to roast marshmallows? Not very often. On that note, us Floridians are hunkering down for our coldest day in December coming tomorrow – the high where I live is set to be 63 and the low 41 – perhaps tomorrow should be National Smores-for-real Day in Florida! I’ll let my husband know to connect the propane to our faux fire pit. #2: When else do you make Smores? While camping perhaps? Well, again with the admissions… I admit my idea of camping is, well, non-existent… but if it existed, I’d hope it would involve A/C and my hair straightener. Don’t judge me. But, who doesn’t love Smores?! Especially if there was an easier way to make and eat them. 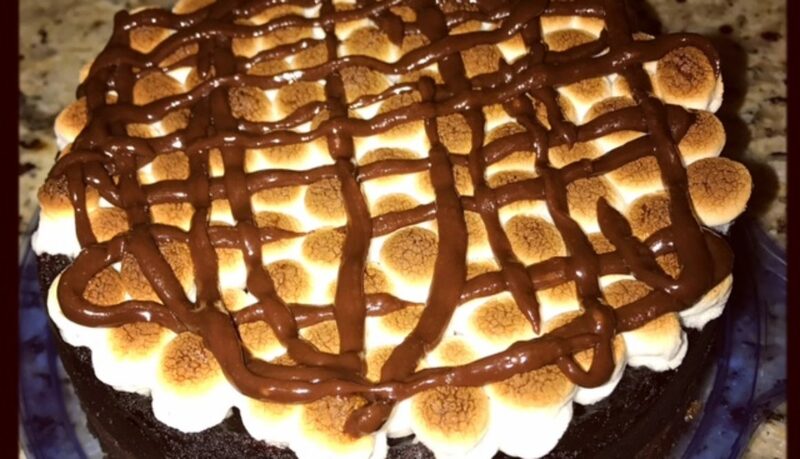 Well, alas… I believe in this Smores Pie. It satisfies the flavor desires, yet involves no fire. And since I have become obsessed with my Pressure Cooker, I am happy to report I make it in my Instant Pot! Place graham crackers in resealable bag, like a sandwich or quart size ziplock. Crush into crumbs using flat side of meat tenderizer or rolling pin, or whatever you have that will work. Pour crumbs into small mixing bowl. Pour in melted butter. Mix until combined. Press evenly on bottom and slightly up the sides, about 1 inch, of springform pan. Mix brownie batter as directed on box. Pour into springform pan over graham cracker crust. Tap pan lightly on counter to get rid of air bubbles and evenly disperse batter. Pour 1 1/2 cups water in bottom of pressure cooker inner pot, place trivet over water, then place springform pan on trivet over water. Close lid of pressure cooker, and close vent knob. On Instant pot, turn vent knob to “Sealing”. Press Manual button on Instant Pot, or high pressure on any pressure cooker, and adjust cook time to 45 minutes. Pressure cooker will take 5-10 minutes to come to pressure, then cook time countdown will begin. When cook time completes, allow pressure to naturally release (NPR) for 10 minutes. Quickly release remaining pressure (QPR) by opening vent knob. 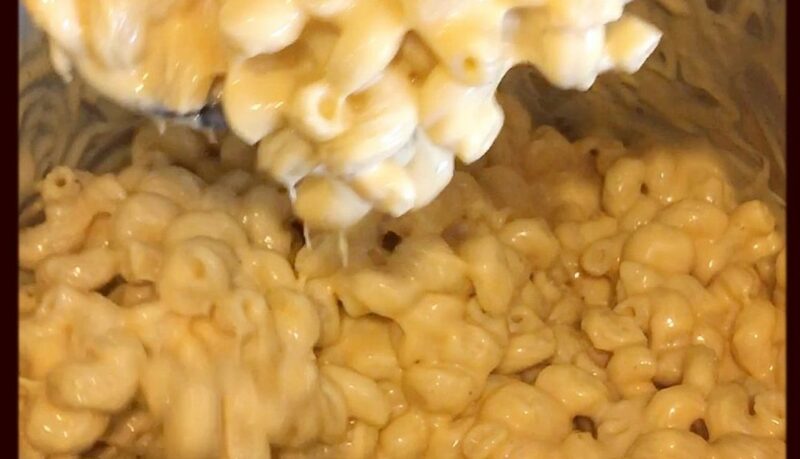 On Instant Pot, turn to “Venting”. Uncover and allow pie to cool slightly, about 15 minutes. Evenly spread marshmallows over brownie – do it neatly for neater presentation if you wish. Place under broiler for 2-3 minutes – do not take your eye off those marshmallows! They can go from perfectly browned, to ridiculously burnt in the matter of seconds. Carefully remove from oven and let cool for 15-20 minutes. (NOTE: because Pyrex bowl is oven safe, you can use this to cook things in your Instant Pot, too! Worth the purchase: 7 cup Pyrex oven safe bowl, 7 cup, round. This Pyrex container is just over 7.5 inches in diameter, and the spring form pan is just under 7.5 inches! 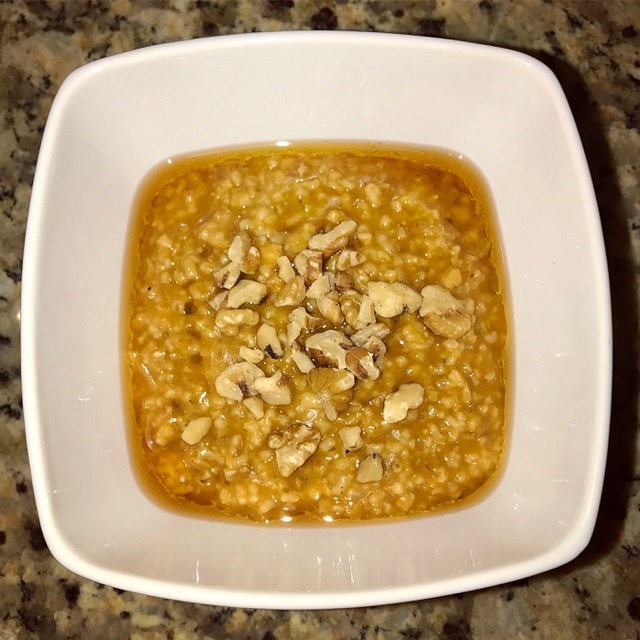 These days I prefer homemade, and I have become OBSESSED with Oatmeal made in my Instant Pot! I’ve shared recipes for Apple Cinnamon, Maple Brown Sugar, and Pumpkin Spice Oatmeal. I tackled Date, Raisin, and Walnut Oatmeal – it’s wrong to say “tackle” though honestly… it was freaking easy! You know you love my fun green spoon ? Add all ingredients to Instant Pot insert. Stir lightly. Close lid. 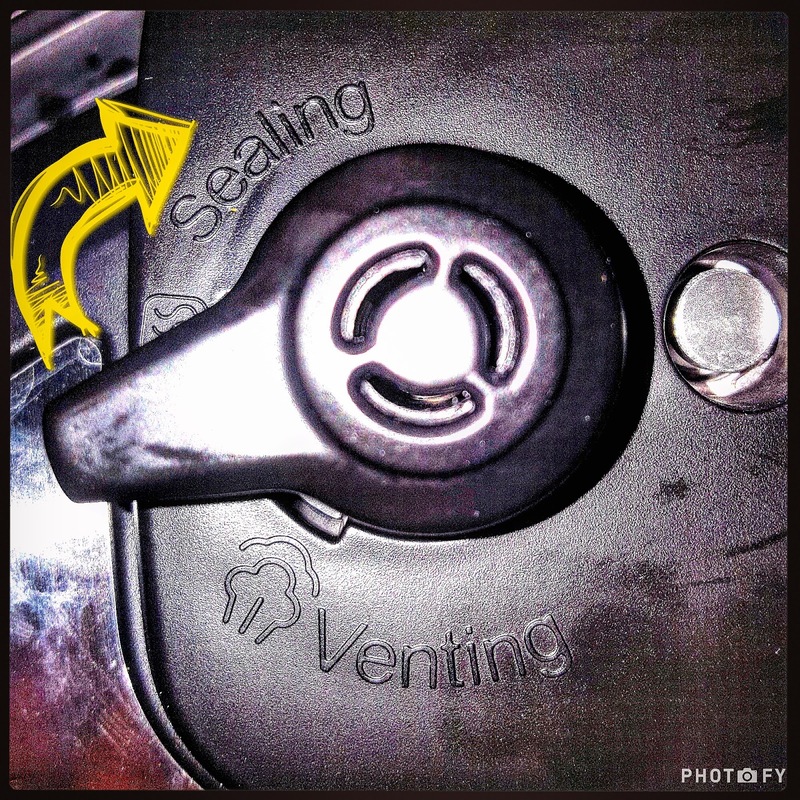 Turn Vent knob to “Sealing”. Press “Manual” button and use “+/-“ button to adjust cook time to 12 minutes. Press “Manual” button and use “+/-“ button to adjust cook time to 3 minutes. Instant Pot will take 5-10 minutes to pressurize – while doing so, display will show as “On”. When IP pressurizes, cook time countdown will begin. When cook time is complete, IP will beep and automatically change to “Keep Warm” setting. Allow IP to naturally depressurize (NPR) for 10 minutes. QPR remaining pressure by turning vent knob to “Venting”. I always cover vent knob with a towel before QPR. Open lid and lightly stir holding the inner pot with oven mitts, I use my Instant Pot Silicone Mitts – enjoy the sites, and the aroma! Serve, garnished with extra walnuts, if desired. I have ALWAYS loved Oatmeal. 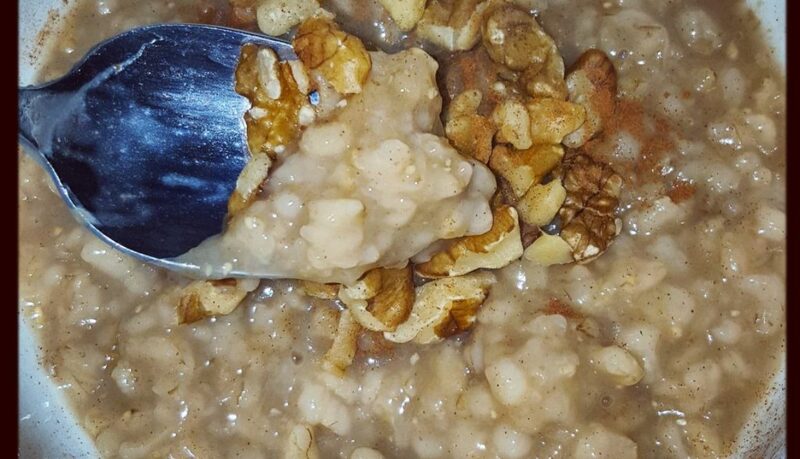 As a kid, I used to eat maple brown sugar oatmeal every single morning – but I ate it from the just-add-water microwavable packet. It was quick and easy and I could do it myself. So it was a staple. The flavor is still one of my favorites. 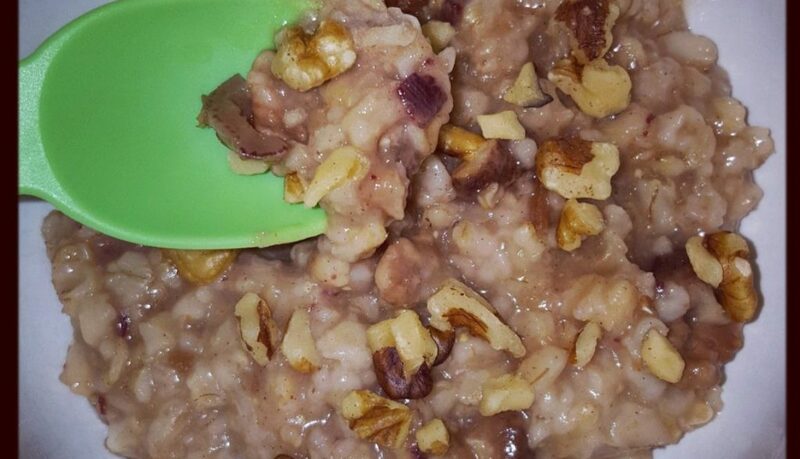 I have also converted Apple Cinnamon Oatmeal and Date, Raisin and Walnut Oatmeal to Instant Pot successes, too! As an adult, I moved away from the who-knows-whats-really-in-there packets to old fashioned oats. For a long time now, I have made oatmeal on my stovetop and/or the microwave. As I mentioned in my recipe blog for Pumpkin Spiced Oatmeal, it really is kind of a pain, and it definitely requires attention. It requires attention at a time when too many other things are going on – anyone else’s mornings get a little hectic? It’s never consistent either – one morning it will be too watery, the next to dry, the next clumpy, the next just ok. I still eat it, because I love it, but dealing with making stovetop or microwavable oats definitely makes a Starbucks run that much more tempting. 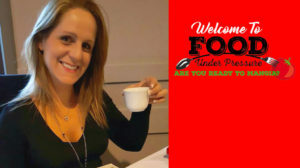 Since getting my Instant Pot Pressure Cooker, I have been converted and it feels so good! ? Just like the Pumpkin Spiced Oatmeal,Apple Cinnamon Oatmeal and Date Raisin Walnut Oatmeal, this Maple Brown Sugar Oatmeal is so. freaking. easy! And, its SO. Freaking. GOOD! The Instant Pot did it again! Add all ingredients directly to Instant Pot stainless steel pot or other pressure cooker and stir. For rolled oats: Press “Manual” on Instant Pot or high pressure setting on other pressure cooker and use “+/-“ buttons to adjust cook time to 3 minutes. 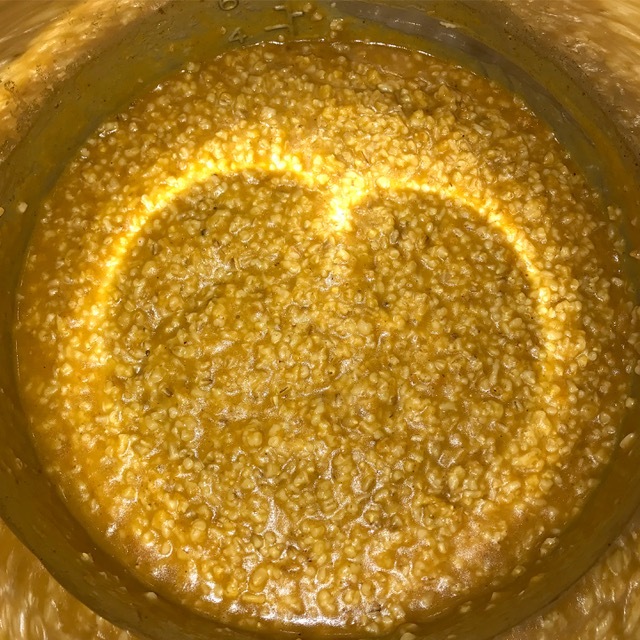 For steel cut oats: Press “Manual” on Instant Pot or high pressure setting on other pressure cooker and use “+/-“ buttons to adjust cook time to 12 minutes. Instant Pot (IP) display will show as “On” until IP pressurizes. When fully pressurized, IP display will show cook time and begin cook time countdown. When cook time is complete, IP will beep and automatically change to “Keep Warm”. The easiest, hands off, morning friendly, sweet, comforting, HEALTHY breakfast goodness! I prefer topping with some walnuts (or nut of your preference) – this gives it some crunchy texture which I just love. I also add a dash of cinnamon on top — both are totally optional (but delish)! Instructions include directions for either rolled oats or steel cut oats - they have different water to oat ratios and different cooking times. Add all ingredients directly to Instant Pot stainless steel pot and stir. Open lid, stir and serve with optional garnish. 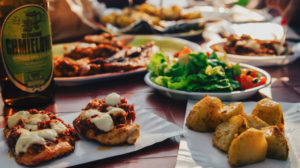 Leftovers can be refrigerated and reheated for 3-4 days if needed. I love Oatmeal. I love pumpkin spice (whose with me?). 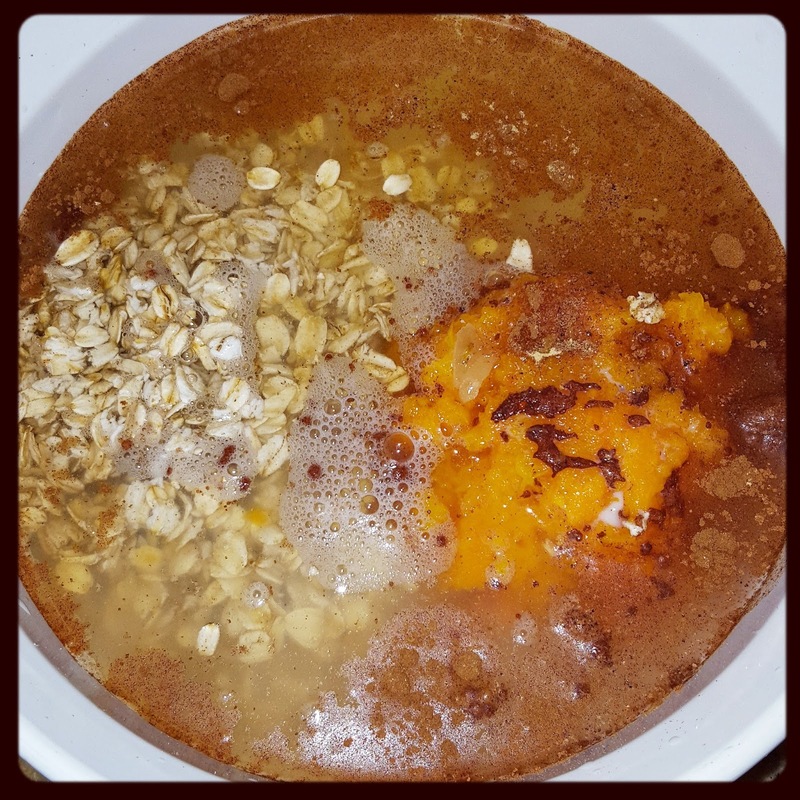 Pumpkin Spice Oatmeal made with real pumpkin is a winner in my book! 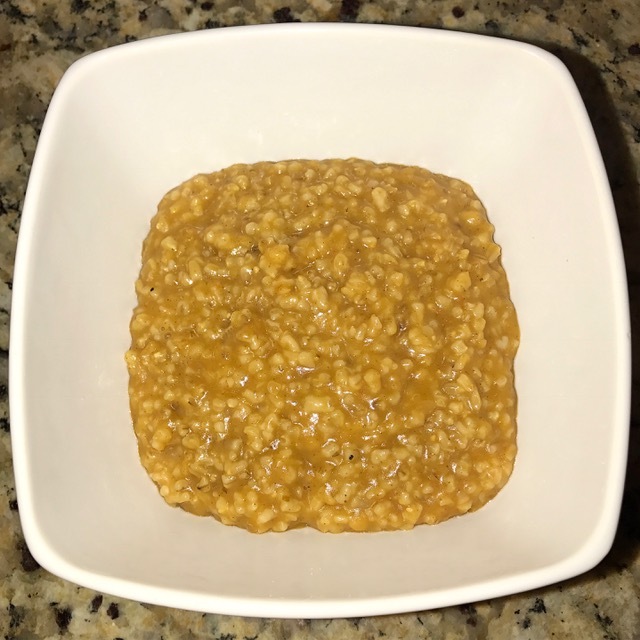 So is my Apple Cinnamon Oatmeal, Date, Raisin and Walnut Oatmeal and Maple Brown Sugar Oatmeal – all made in the Instant Pot with either Rolled Oats or Steel Cut Oats! Oatmeal… or any hot cereal, is so comforting to me. The fact that its healthy, filling and EASY to make in my Instant Pot pressure cooker is a BONUS. Confession though… until this Instant Pot Pressure Cooker experiment, I had yet to try them with pumpkin and it’s infamous Fall spice. Before now, I always cooked my oatmeal in the microwave. I stir ever 30 seconds. I stare into the ‘wave to make sure they don’t boil over – sometimes I look away and they do. Sometimes I get em right, sometimes I have to add more liquid. They never seem to be consistent. 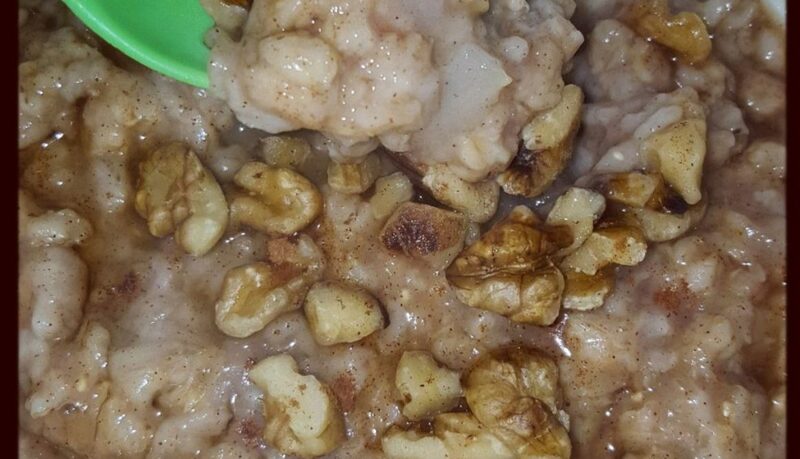 I still have always loved my oatmeal, but they are a full blown 3 minute labor (3 minutes, wah-wah… I know – my husband is rolling his eyes right now). Well, good news is, as per the usual, my Pressure Cooker really pulled through! This Pumpkin Spice Oatmeal is so good. And, SO EASY! Directions included for Steel Cut or Rolled Oats. 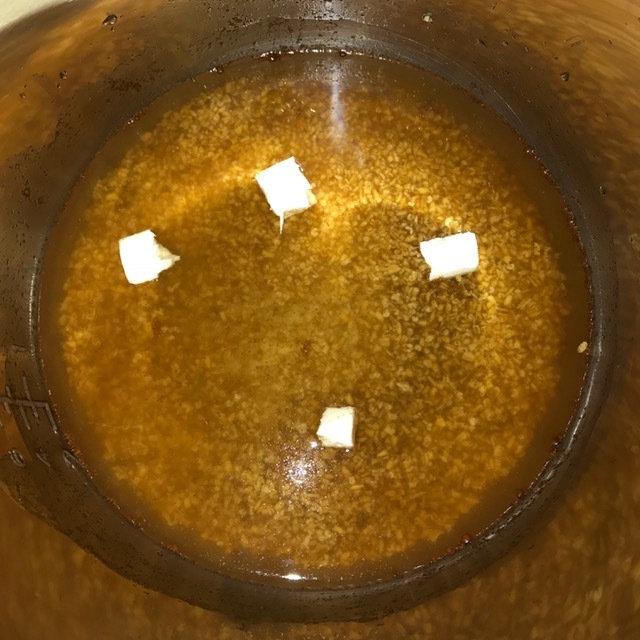 Put all ingredients in Pressure Cooker pot and stir. Note: I used a bowl to initially combine ingredients, but thats so not necessary! Add directly to your pressure cooker pot insert. Add to Instant Pot. Close lid, and close vent knob. For Instant Pot, turn vent knob to “Sealing”. Choose High Pressure cooking option, then adjust cook time. For Instant Pot, choose Manual, then use +/- buttons to adjust cook time. Pressure Cooker will take 5-10 minutes to pressurize, then cook time countdown will begin. When cook time has completed, quickly release pressure manually (QPR). Remove lid & stir. Drizzle honey or maple syrup and top with 1 T walnuts, if desired. 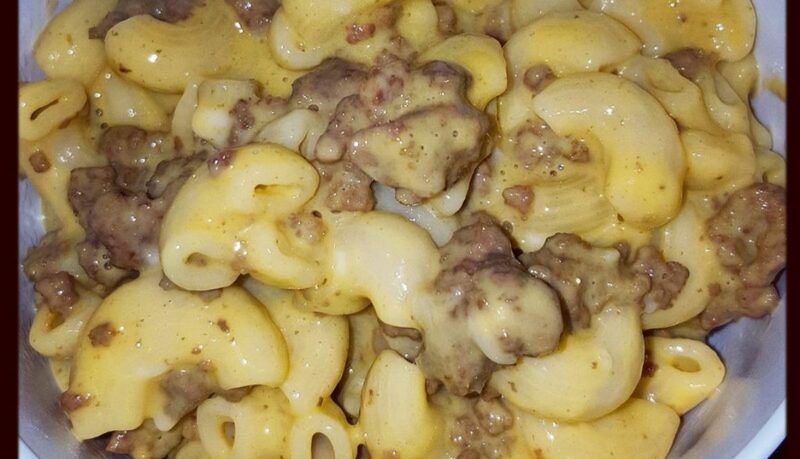 Enjoy your homemade, easy, healthy, satisfying, comforting GOODNESS!